Thanks to its spectacular amount of attractions and activities, Chicago is the ultimate city to host a family reunion. Boasting 570 parks, over 200 golf-courses and countless infamous attractions, visitors can’t get enough of Chicago. The wild popularity of landmarks like Lincoln Park Zoo and Millennium Park are putting the national spotlight back on this bustling metropolis. In 2017 Chicago’s tourism broke records with 55 million visitors, and this trend is set to reach new heights this year in 2019. Out of this huge wave of tourists, a growing number are coming to celebrate family reunions. There’s something for everyone in Chicago, which means families have to plan properly to accommodate everyone’s tastes. Even though everyone has different expectations, a one tip can drastically improve any family reunion in Chicago. While catering to specific interests is necessary, picking the perfect location for accommodations is indispensable. 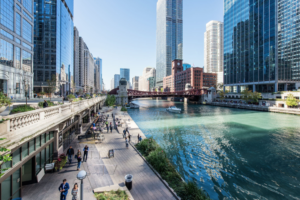 Staying downtown is what most people recommend, since it gives visitors instant access to everything Chicago has to offer. From breathtaking parks to high-end restaurants, no area showcases the beauty of the city more than downtown. 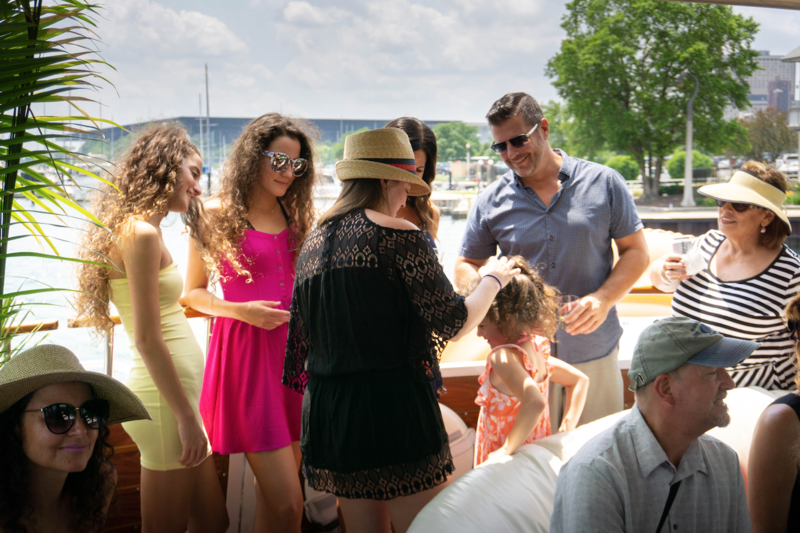 Docked at Burnham Harbor, Adeline’s Sea Moose is the perfect addition to any family reunion. 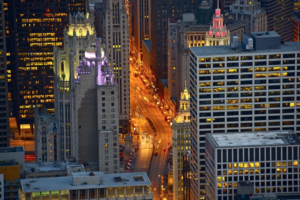 We are right next to downtown Chicago, which allows us to provide the best of both worlds. From unique vantage points of the city to gorgeous views of the skyline, our deck is the perfect setting for family reunion photo-shoots. Our talented photographers are ready to capture the moment of a lifetime. On top of providing exceptional photography options, over the years we have discovered which activities are essential for great family reunions in Chicago. From getting active in nature to quick luxurious escapes, there’s no shortage of epic ideas to make the reunion special. To highlight what’s available, we compiled a list of the best family reunion ideas in Chicago. These activities are guaranteed to bring the family together as everyone explores America’s most exciting city! In 2016, Mayor Emanuel’s vision of weaving the Chicago River into the urban fabric of the city came true. Through a bold renovation process, they created a 1.25-mile path that highlights the bank of this essential waterway. This bold project allowed multiple venues to open up along the waterfront. Today this concession is one of the best places to visit, since it provides an intimate glimpse of the city. There’s plenty of space for large groups, so don’t hesitate to incorporate this gorgeous area into your family reunion! For those who crave something more luxurious than a stroll, chartering a yacht is the perfect treat. Adeline’s Sea Moose is the only 68-foot yacht that’s authorized to charter down the Chicago River. This exclusive position allows us to provide options that other yachts can’t. 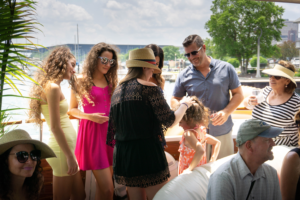 From elegant escapes to New Buffalo, Michigan to huge bashes within city limits, our yacht can comfortably host up to 45 people on a family-oriented adventure. This versatility allows us to host exceptional tours that provide unique views of the city’s most historic landmarks. Our talented docents make every detail of the city come to life. Whether you are searching for the perfect Architectural River tour or want to view iconic historical destinations, we have packages that are ideal. Contact us to see which charter options are best suited for your family reunion! Call us at (224)-601-0220 to plan your family reunion charter! When wandering through the city, most tourists end up at the Magnificent Mile. 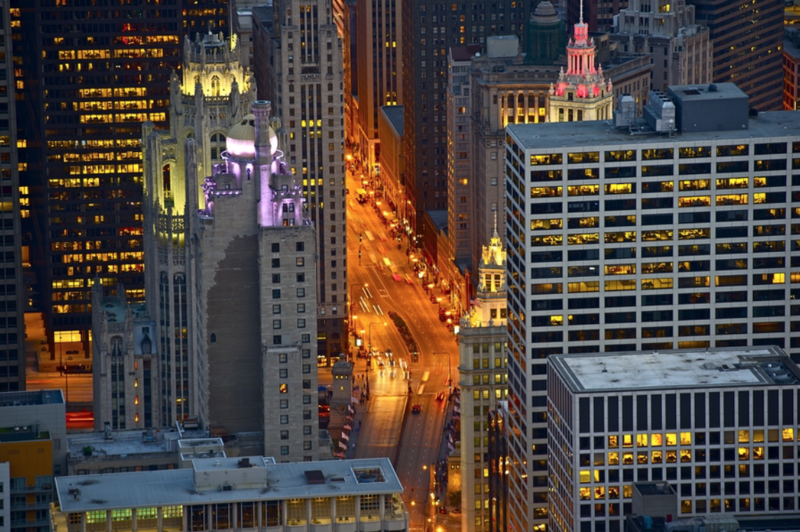 This is due to the fact that this bustling area embodies Chicago’s financial success. On top of hosting countless shows and live music, this neighborhood is home to multiple high-end restaurants, museums and theaters. It can’t be missed, since it provides an amount of activities that are robust enough to incorporate into any family reunion ideas in Chicago! Getting active in nature another great family reunion idea in Chicago. 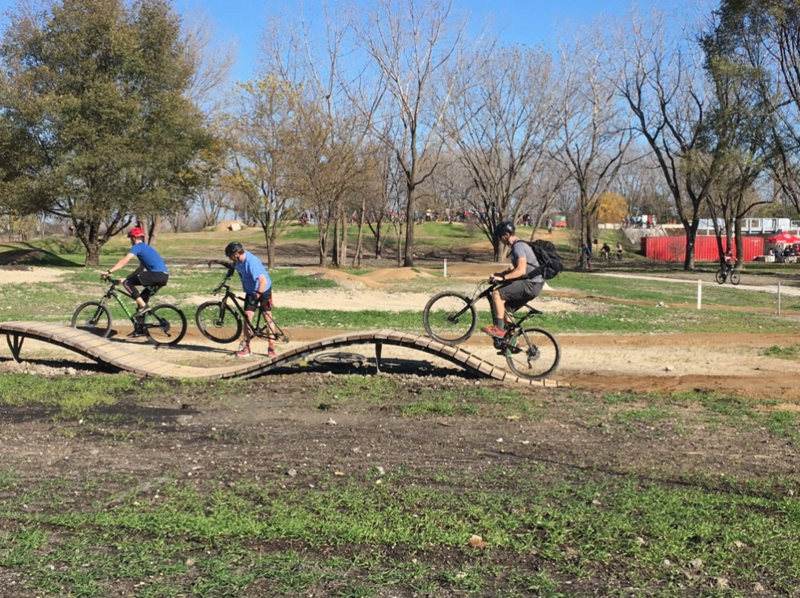 This 278-acre bike park provides a refreshing break from the inner city with activities that can entertain visitors of all-ages. 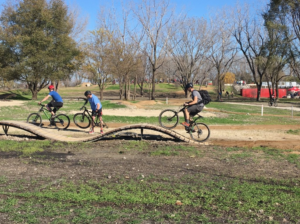 From family-friendly trails to elite mountain biking and cyclocross racing tracks, this park has something for everyone to indulge in. It doesn’t matter how skilled you are on a bicycle, there’s no denying the beauty of this secluded park! For over twenty years, this park has allowed parents to provide a level of entertainment that kids can only dream of. Nestled in Tinley Park, this venue is the perfect escape from the heart of Chicago. 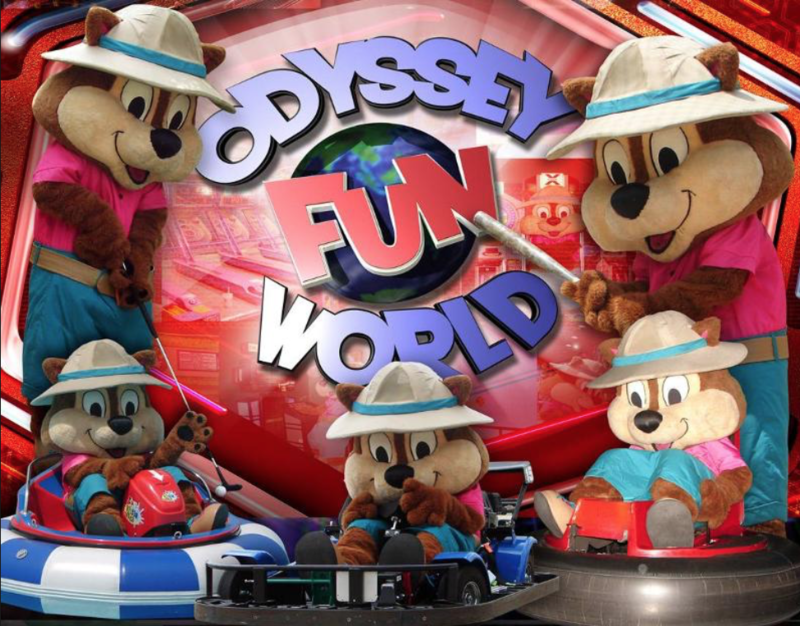 Their sprawling 45,000 ft. indoor facility provides access to arcade games, zip lines, laser tag, miniature golf and a water park. 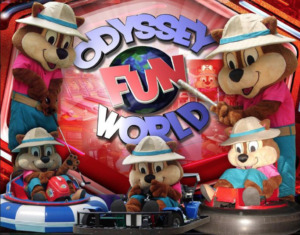 The amount of options they provide are endless, so schedule a time to entertain the family!